Michael Cohen is a Board Certified Criminal Trial Lawyer who holds a greatly respected AV® Preeminent™ Peer Review RatingSM by Martindale-Hubbell® in acknowledgment of his ability, integrity and reliability. He’s been categorized as a Florida Super Lawyer, which distinguishes him amongst the top five percent of all lawyers in the State of Florida. He has been practicing law for well over 30 years, with extensive and broad experience in criminal legal matters both as a prosecutor and a defense attorney. During his tenure with the Department of Justice, Mr. Cohen was assigned respectively to various sections of the U.S. Attorney's Office: the Intake and Indictment, Major Crimes, Fraud and Public Corruption and Narcotics Sections. In this capacity, Mr. Cohen defended civil cases brought against the Florida Department of Law Enforcement, Department of Corrections, Department of Juvenile Justice and numerous other Florida agencies. 1998–1999 Law Offices of Jeffrey S. Weiner, P.A. Mr. Cohen practiced state and federal criminal trial and appellate law and international extraditions at this prominent firm. While there, he was involved in some of the most significant criminal cases in the country. 2000–Present Michael B. Cohen, P.A. 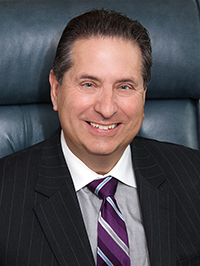 Michael Cohen has headed his own practice of criminal defense law in Broward County for over 10 years.